Jaida Reeves gives her presentation, while Dr. Bruce Smith moderates. 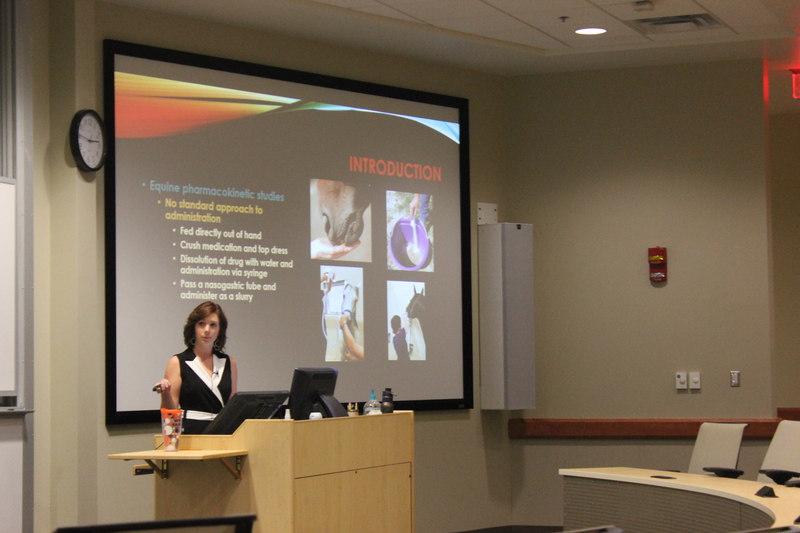 Seventeen students selected for the Merial Summer Scholars Program at the College of Veterinary Medicine recently presented the culmination of their summer research. The student scholars spent 10 weeks under the mentorship of a faculty member, who guided them in conducting a research project and participating in research-related activities. The purpose of the program is to introduce students to hypothesis-driven laboratory research. “Successful completion of this program will certainly help the scholars gain bench research experience and a better understanding of One Medicine,” said Dr. Juming Zhong, an associate professor in the Department of Anatomy, Physiology and Pharmacology, and the chair of the college’s Merial Summer Research Fellowship Committee. Seven of the scholars presented their research nationally at the Merial-NIH National Veterinary Scholars Symposium at the University of California-Davis. Those selected for this recognition include an * by their name. 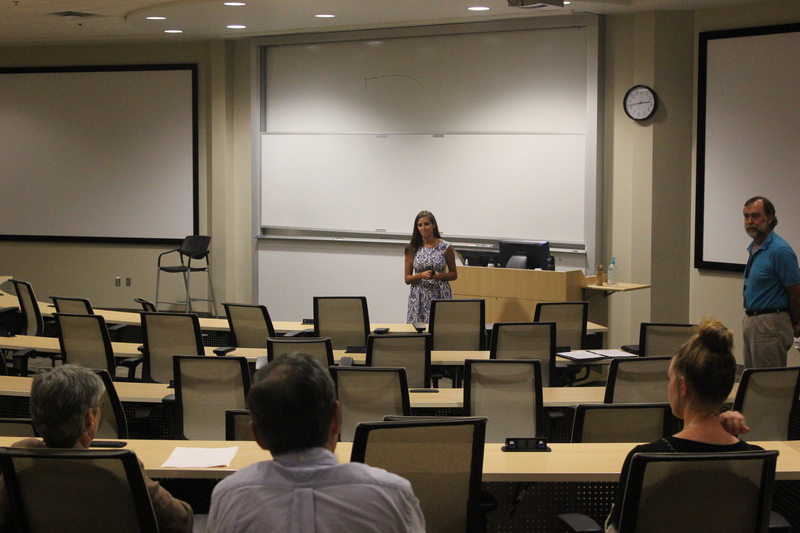 Amanda Crouthamel presents her research to her fellow scholars. Kate Stewart (Dr. Michael Irwin) – “Modulation of Beclin Activity by Carnitinoid Compounds in a Cellular Model of Mitochondrial Complex I Dysfunction”.